Lance Franks, the head baseball instructor and owner of The Chico Bullpen Baseball Academy, was born and raised in Russellville, Arkansas. Lance won three state championships in high school and American Legion. 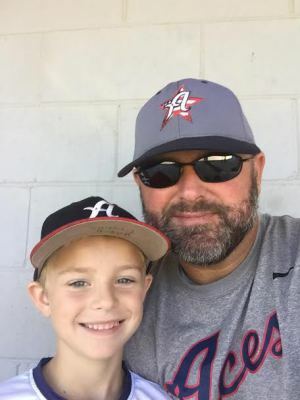 In 1994 he received the Bob Fellar Pitching Award for the most strikeouts in the Arkansas state championship, Mid-West regional tournament, and American Legion World Series. Lance spent two years at Westark Community College as a middle infielder/pitcher, and spent 1996 and 1997 playing for the Arkansas Razorbacks. In 1997, Lance was an All-American Honorable Mention. From 1997-2002 he played in the St. Louis Cardinals Organization. During the 2002 season Lance joined the Western League Champions, the Chico Heat. 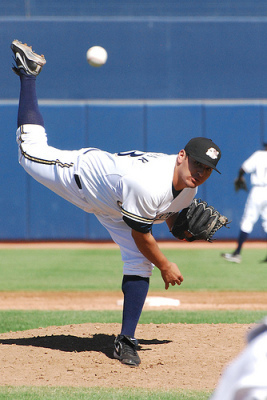 For the Heat, Lance was at the top of almost all pitching catagories and was a Western League All-Star. From 2003-2004 Lance played for the Kansas City T-Bones and the Quebec Capitales. After retiring from playing Lance went on to be the pitching coach for the Chico Outlaws in 2005, and was the bench coach in 2008. 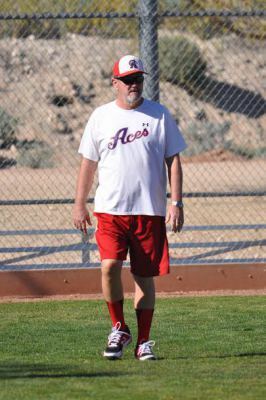 Jim Franks is the Aces 18 under head coach. Jim was All Confrence and All District at the University of Central Arkansas in 1970-1972. From 1975-1977, Jim coached at Clinton High School in Arkansas winning the confrence every year. Coach Franks was the Head Coach at Arkansas Tech University from 1980-1987. Arkansas Tech won 2 confrence championships and 2 District Championships during that span. He was Coach of the Year in 1981, 1982, 1984, and 1985. In 2010 he retired from Arkansas Education and has been in coaching for 39 years. Jim resides in Russellville, Arkansas in the off-season. Omar comes to the Bullpen and Aces staff from Merced, California. Omar played baseball from little league all the way up to Double A. Omar was drafted out of high school by the San Francisco Giants but declined the offer to play baseball at Merced Junior College. After two years at Merced, Omar signed a letter of intent to play at the University of Oklahoma. That same season Omar was drafted by the Milwaukee Brewers, so instead, decided to chase his dream and become a professional baseball player. Omar played in the Brewers organization from 2005-2010 and was named to Brewers 40 man Roster 2009 & 2010. In the spring of 2010 Omar was traded to the Cleveland Indians and played in the Indians organization for 1 season. In 2011 Omar came to Chico and played for the Chico Outlaws. After playing in Chico for one season, Omar and his wife, Catherine, liked Chico so much they decided to make a home in Chico. Omar will be the pitching cordinator for the Aces and Chico Bullpen. Jorge is a former Red Bluff High School Graduate where he played 2 years at the varsity level. Jorge has been playing baseball from Little League all the way to College. His college career was short lived after tearing his ACL in the fall of 2012. Jorge is pursuing his education at Shasta College where he plans on getting his degree in Network Administration. He is an assistant coach for the JV baseball team at Red Bluff High School. Scott Edwards currently resides in Redding, California. He currently is the head varsity baseball coach at Anderson High School and has coached in the football program for 10 years. He has coached various sports including baseball, basketball and football for 18 years. He has coached many levels from little league baseball to an assistant basketball coach at the Junior College level. In high school he earned all-league honors two years in a row while winning back to back section championships. Scott was a two-sport athlete playing baseball and basketball at Butte College from 1987-1989. While he was there he was on the conference championship team and was named to the all- Golden Valley Conference team. Scott is married to Tracy, and has 3 children Tyler, Miranda, and Payton.